For the puzzle fanatic. A collection of challenges from throughout history, featuring some of the greatest ever puzzle masters . . . --------------------------A Sumerian Riddle (circa 18th Century)There is a house. The blind enter it and then come out seeing. What is that house? --------------------------A CharadeI have wings, yet never fly - I have sails, yet never go - I cant keep still, if I try,Yet forever stand just so.--------------------------From the riddles of the ancients to puzzles that perplex the greatest minds of today, The Penguin Book of Puzzles is a glorious compendium of conundrums from throughout history.These challenges will require all the readers wits to solve, but range from the easy to the brain-bending and are suitable for novice and veteran puzzlers alike. 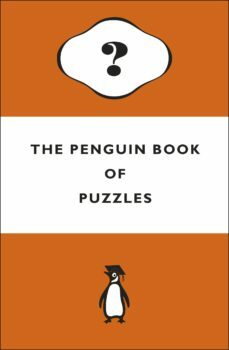 There is something here to suit every taste, including crosswords, mathematical challenges, word games and logic conundrums, but also some intriguing types of puzzles that have been unearthed from centuries gone by.Timeless and entertaining, there are hours of fun waiting in this miscellany of puzzlement.